Welcome to the Alliance of Mobile & Party DJs where you receive £10 million Public AND Product Liability Insurance, including dry hire of equipment, as part of your membership together with other benefits including client enquiries for your area using a tried and proven system. The method is working successfully with many DJs reporting that they have recovered their subscription many times over within weeks of joining! Receiving all enquiries made through our client websites for your chosen area. They automatically come through to you 24/7 with details of the event and full contact information. There's nothing more to pay! 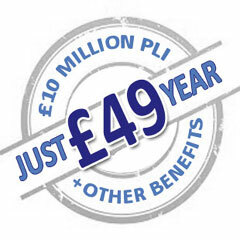 £10,000,000 Public Liability Cover (including the dry hire of Audio Visual Equipment). Legal defence costs incurred in defending proceedings arising under health & safety/consumer protection legislation. Receiving Newsletters and resources containing helpful advice and general DJ information. DJ related supplier and service discounts. EXCLUSIVE! 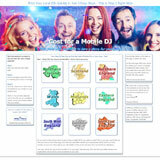 Save over £44 on current music with cdpool.com when you join AMPdj. More information in the members area. AMPdj is a 'Recognised Body Organisation' for processing DBS (formerly CRB) checks for our members. For just £49, you receive all the above benefits plus one area for enquiries. You can add additional areas* to increase the number of enquiries you receive at any point during your membership. * additional areas are charged at £20 each (or a proportion of this, relative to your remaining membership period). Many areas have now reached their threshold and are no longer available to add at a later date. A waiting list system operates for these areas. Clients select their venue area and submit their details. You receive this enquiry automatically within minutes. There are no extra or hidden charges with this service and you receive every enquiry made for your selected area(s) with no filtering. Clients do not pre-select their DJ from a directory list. They do so from the replies they receive. Surveys of potential clients have also proved that very few go for the cheapest quote they receive, preferring to select the DJ who can provide the service they want (provided the price is not unrealistically high). All areas are capped, taking into account the size and number of enquiries generated. The price for subscribing is £49 per annum which includes £10 million Public & Product Liability and enquiries for one area, additional areas can be added at £20 each per annum. Using a wealth of experience from many years, it is the goal of AMPdj to bring our members a steady flow of enquiries. We also provide advice with ideas on responding to enquiries, helping you to secure as many bookings as possible. We cannot, however, guarantee any specific conversion rate, as that's down to you and your own methods. We have kept the price for this service at a realistic level to allow you to get the best return from it. As a rule of thumb any money spent on marketing should return at least 20 times that amount in income (RoI). For some DJs converting just one enquiry over 12 months would achieve this (& more). For others it may take 2 or even 3 conversions. I would recommend that you use this yardstick for all money invested in promoting your business - including this site. With new DJ Directory listings appearing almost weekly on the web, the chances of your entry being spotted and then selected by a potential client is diminishing. This system used by our sites gives you the opportunity to contact these potential clients and sell your service directly to them. More enquiries = More Bookings. We also provide advice in the members area to help members convert more enquiries into bookings; based on our ongoing survey of thousands of clients who have used our service and provided us with feedback. 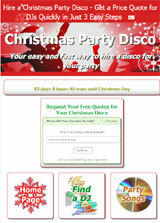 In addition we are available to assist members on a one-to-one basis with email and website copy for their DJ business. You will receive an activation email shortly afterwards with log-in details. Log-in and select your areas. 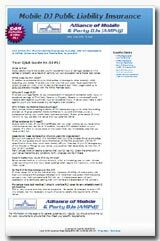 Pay for your Membership via PayPal or Worldpay (these are the recommended methods and ensure that your membership is activated immediately and you receive PLI cover). You don't need a PayPal account to use this service provided you have a credit or debit card. For other payment methods please get in touch. Any questions? See the Q&A page here. If your question isn't covered use the contact form here. View Policy Cover & Sums Insured here. DJ Hank shows just how easy it is to join AMPdj™ with his short 3 minute video guide. Click Here (opens in new window).